The first days of school are among the most work intensive for me as a teacher of English. One of my primary goals is to learn about my students, in order to determine how best to teach them. I don’t teach by recipe. Thorough knowledge of subject matter or the curriculum is an important part of every teacher’s work, but it is only a part. Every student, every class presents different challenges, different dynamics, and different strengths. Discovering, organizing, coordinating, and using that information effectively in the classroom takes skill and experience. I know some schools use various software programs to “pretest” students and gather performance data around which they plan instruction. Others, like my former school district, do a detailed analysis of the most recent state test data and prepare maps or charts on each student. All that sounds impressive, and may actually be of some value to somebody, but I found most of it useless and even inaccurate when it came to planning for instruction in my classroom. Most of the test data was too general (e.g., “Johnny needs help with grammar…” well, duh!). Some of the more topic specific grammar testing software or web-based programs can be of limited help, but with an important caveat (I’ll get to in a minute). When I taught exclusively high school, students entered class the first day and immediately began writing me a letter. One of their favorite topics was to imagine it was 10 years after their high school graduation, and they were writing back to their old English teacher to let me know what had happened to them since I last saw them in school. Today, with my college students on the first day of class, as soon as they walk in my students are writing a letter to me; introducing themselves, their past experiences with writing, as well as their dreams for the future. Both work extremely well as a pretest and a way to get to know the people with whom I’ll be sharing space for the next several months. These writings are intentionally raw; I give very little instruction or guidance on either content or format, except for the topic on the board. I want to see what they will produce left to their own sense of what writing should be. First, I want to know who they are; what are their dreams, goals—do they have any? Next, I want to see for myself what their writing skills are. While they’re composing, I’m taking notes on how they write: Who is making notes or lists; who is balling up paper because their handwriting isn’t neat enough; who’s drawing pictures; who looks terrified. This is a timed writing, so that I’ll have time to introduce myself and give them the opening day talk and walk through procedures. What comes next is key. I’ll spend hours, sometimes days reviewing those letters. I write a personal response to each student. Students are used to us reacting to how they write, but not many are used to someone (at least not a teacher) responding to what they said or felt. I develop the draft of a profile on each student as a writer in terms of content issues and grammar ones. With the high school students, it was always interesting (and frustrating) to see how students’ actual writing contradicted their standardized test results. I may or may not give a follow-up grammar pretest, but usually not a multiple choice one (although I know how to write those and have written them for testing companies in the past). More often it is a test I designed using sentences from previous students that they must analyze and revise or edit if needed. This, in turn, will be followed with an individual conference during which I may ask, “Why did you think this sentence needed to be changed in this way?” Each student would then develop his/her personal learning goals for the year. The best part of all comes at the end of the school year, when the student revisits those pretests and explains to me (in writing) how s/he has grown as a writer. Did I mention this was labor intensive? It’s also extremely valuable from a teaching standpoint and makes all the difference between a school year in which I just “cover” the curriculum, and one in which students learn how to effectively and confidently handle academic writing. In the best of worlds, highly effective teachers are allowed and supported in doing this type of professional pre-assessment, and better yet, get together with their colleagues, parents, and other members of the educational delivery team to develop even richer learning environments for all students. 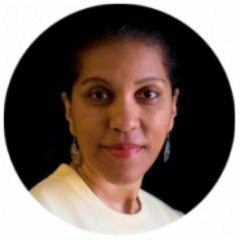 Over a ten year period, I studied the thorny issues surrounding the teaching of Standard English to rural African American students (Culturally Engaged Instruction); much of what I learned and did is recorded on my research site (including videos of me in classroom, interviews about my approaches, the theories behind them, and the background references). What about you other teachers? How important is it to get to know students (personally and pedagogically) at the start of the year? What strategies do you find most effective to accomplish that?